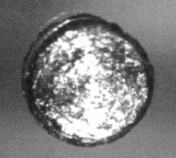 Californium he yit-chúng fa-ho̍k ngièn-su, fa-ho̍k fù-ho vì Cf, ngièn-chṳ́ su-muk he 98. ↑ 1.0 1.1 1.2 CRC 2006, p. 4.56. ↑ Joseph Jacob Katz; Glenn Theodore Seaborg; Lester R. Morss (1986). The Chemistry of the actinide elements. Chapman and Hall. p. 1038. ISBN 9780412273704. 11 July 2011 chhà-khon. Liá-chak ya̍p-mien chui-khiûn siû-thin yî 10 Liuk-ngie̍t 2018 08:24.